Prior to arriving in a new city, every producer needs the lay of the land. This guide explores everything about Raleigh, NC that video producers need to know. Raleigh, the capitol city of North Carolina is known as the “City of Oaks” and often is described as “a park with a city in it.” Trees planted at the city’s inception still provide cooling shade for visitors to Moore Square Park, where you’ll find the city’s signature copper acorn. Raleigh is not only known for it’s natural beauty but is also the largest city in the metropolitan area known as the Research Triangle, which includes Durham and Chapel Hill. Research Triangle Park is one of the prominent high tech research and development centers in the US. It harbors some of the industry’s leading developers in the world including: IBM, BASF, and DuPont. The area is often compared to Silicon Valley. Raleigh thrives with the largest variety of live theatre, visual arts displayed in galleries, and collections throughout the area. The star attraction of the visual arts scene is the North Carolina Museum of Art, which boasts artwork spanning 50 centuries, including a renowned collection of Baroque and Renaissance paintings. The region’s top professional theatre, the North Carolina Theatre cultivates musical theatre appreciation by producing outstanding professional Broadway musicals. The visual arts expressed through dance are appreciated by enjoying the nationally-acclaimed Carolina Ballet. Raleigh’s also home to “America’s next Generation Orchestra,” The North Carolina Symphony at Booth Amphitheatre. Visitors eager for a behind-the-scenes look at the creative process of visual arts may appreciate touring some of downtown Raleigh’s art studios. Raleigh ranks among the top of America’s Best Place for Singles, Cities That Rock and Best Small Concert Venues and is a place with the big-city energy and small-town accessibility of the nightlife area. If it’s a quieter view for you, go where the locals go on a trip to the State Farmers Market. For large conventions and meetings there is the Raleigh Convention Center. The facility offers over 500,000 square feet of meeting space and is the largest of its kind in the southeast. The Research triangle features three of the top university’s in the country: University of North Carolina, Duke University, and North Carolina State University all within a 30 minute commute of each other. Welcome sports fans! Raleigh offers a variety of sports venues. Check out the NHL Stanley Cup Champs Carolina Hurricanes at the RBC Center? Or maybe catch some of the top college basketball in the country at Duke or UNC. If you love Baseball, head out to the diamond and catch the AA Baseball team the Carolina Mudcats. Raleigh and surrounding cities and towns have many things to offer its growing population from the State Farmers Market to three art, history and natural science museums. Are you familiar with your locations and drive times? How will the weather affect your shoot? Do you know the production guidelines for the Raleigh area? Who are the Chamber of Commerce / Visitor’s Bureau? Have you booked the right camera crew? There are two major areas to consider when selecting a hotel in Raleigh – downtown or the airport/research triangle. The Raleigh – Durham International Airport is located in the heart of the Research Triangle region where you can stay in one of the many area hotels such as the Hilton or Courtyard Marriott. Times from these hotels to most places in the surrounding area will be around 20-30 minutes at most, but be prepared to drive if you plan on dining out, visiting downtown, or seeing any attractions the area has to offer. Downtown area hotels such as the Sheraton Raleigh and Clarion Hotel State Capital will put you in the heart of the action and within walking distance of numerous restaurants, theaters, museums, historic landmarks and other tourist attractions. Visit the Google Maps’ Raleigh section for further ideas on lodging, food, and directions. As mentioned in the Lodging section of this guide, the airport is located in North West Raleigh, in between I-40 and I-540 (Raleigh’s Outer Loop not to be confused with I-440 the inner Beltline). Drive times from the airport to anywhere in town is generally no more than 20 minutes, unless you are visiting Durham, Chapel Hill or Cary which can take up to 25 to 30 minutes driving time to your trip. Printing directions from Google Maps or using a GPS is highly recommended. If you are from New York or Los Angeles and have not traveled to the South, you may not know that we don’t have reliable mass transportation. You will have to rely on a taxi, rent a car, or perhaps ask the crew for transportation. Few camera crews would have difficulty providing transportation, just be sure to communicate your needs with your crew as you set up the shoot. Once you arrive at your location, allow time to park. It seems simple, but parking in downtown Raleigh can be very difficult. Camera crews will always appreciate pre-arranged parking, as it simplifies the load-in and avoids the risk of parking violations, although areas outside of downtown are rarely a problem. Raleigh has an average annual temperature of about 60 degrees Fahrenheit with four distinct seasons. There is an occasional snow in the winter. Although the winter is often very short, the high’s can occasionally dip into the 30’s in December, January, and February. Summer is usually VERY HOT and HUMID. Temperatures can soar well over 100 degrees during the day and heat advisories are often issued during the peak of the summer season. If possible it is often best to schedule interviews and other indoor video shooting during the middle of the day and leave the outdoor shoots for earlier in the morning and mid to late afternoon during this time of the year. Be prepared to drink plenty of water to avoid dehydration and be sure to dress in light, cool clothing. In the end it’s best to check the weather reports just before your visit in order to be prepared for any anomalies in the seasonal weather. See the weather.com search to see the current 10-day forecast for Raleigh NC. Crews across the country have a set of guidelines by which they conduct business. And as different as each city is from another, so are those guidelines. Every producer should have a basic understanding of each city’s standards. Shoots in Raleigh are based on a ten hour day and the crew is on the clock at the specified crew call. Overtime at a rate of time and a half begins after ten hours. If your shoot takes the crew to a distant location, travel time can be expected, which is normally billed into the shoot day unless overnight travel is planned for. If you have additional questions about Raleigh, like lodging, transportation, or locations, you can always contact the city’s Chamber or the Convention and Visitor’s Bureau. But even with the perfect location, the best laid plans, and great weather, so much depends on the right crew. Booking the right crew means finding a crew that not only gets the job done, but does whatever it takes to insure you have the best shoot. 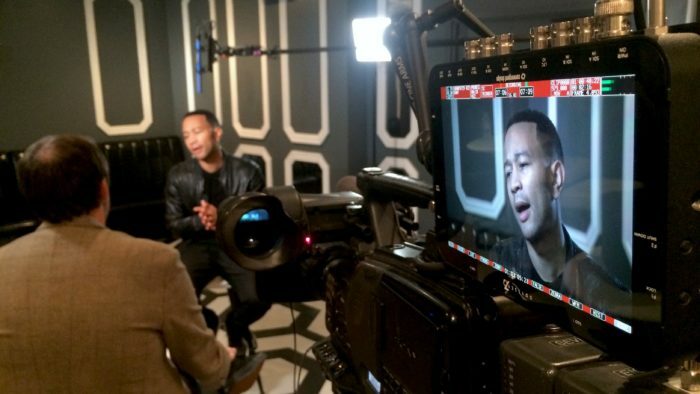 Are you conducting a series of interviews that require dramatic lighting? Are you going to be “Run and Gun” around the city? Is your shoot going to require any specific equipment? Finding a crew that can handle every one of your needs is just as important as lining up all of the interviews and creating your shot list. This article was written by Jimmy Hall, Cameraman in Raleigh NC, for Go To Team. Go To Team is a leading provider of video production resources throughout the southeast including video camera crews.